The US Department of Homeland Security on Wednesday issued a new terrorism advisory over the threat of homegrown extremism. It was an update to one issued in December 2015 that was set to expire later this week. The new advisory will expire November 15. The bulletin made note of the Orlando terror attack, in which a lone gunman who pledged allegiance to ISIS killed 49 people at an LGBTQ nightclub. 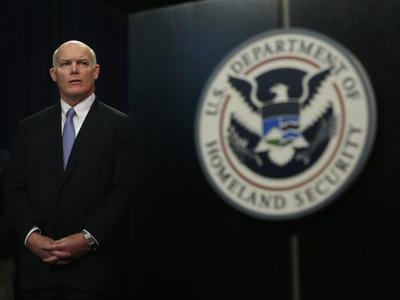 The DHS noted that since it issued the December bulletin, its “concerns that violent extremists could be inspired to conduct attacks inside the US have not diminished.” The department also said that it did not have any “specific” or “credible” intelligence about plots to attack the US. “As we saw in the attacks in San Bernardino, Paris, Brussels, and, most recently, Orlando, terrorists will consider a diverse and wide selection of targets for attacks,” the bulletin said.